"Cats, as a rule, don't like lawyers. They have great insight into human character." But could she type? Gypsy Rose Lee in her 1940s prime. The G-String Murders (S&S, 1941) was supposedly written by the famous stripper but in reality was penned by mystery writer Craig Rice. Shown below is the Avon paperback. A bizarre phenomenon first observed in the 1940s became a crime-fiction epidemic by the 1990s. Famous entertainers, athletes, and presidential relatives began sitting down at the typewriter to bang out mystery novels. Or so they would have us believe. In truth, nearly every one of those celebrities made a deal through an agent or book packager, collected a nice advance for the use of the name, and left to a professional ghostwriter all the actual writing. Ghostwriting is a time-honored practice, and surely most readers realize that movie stars and baseball players have help with their memoirs—just as all politicians these days have help with their speeches, campaign literature, and policy statements. But the dissemination of novels that are ghostwritten seems somehow more blatantly deceptive and ethically questionable. 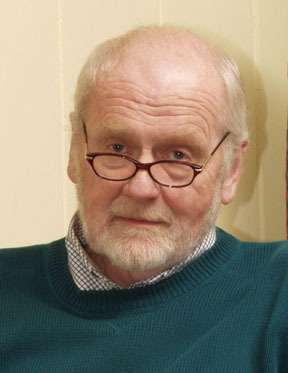 Look, for example, at the new memoir by veteran ghostwriter Donald Bain, who has written, under his name or others, some eighty books. In Every Midget Has an Uncle Sam Costume (Barricade Books, 2002), Bain entertainingly describes his experiences as an officer in charge of censoring American Armed Forces Television in Saudi Arabia, as a jazz musician, and as an airline public-relations flack in a happier and more free-wheeling era of air travel. But the most intriguing topic in the book is ghostwriting. Bain’s first major success, Coffee, Tea, or Me? (1967), presented the comical amatory adventures of two stewardesses who appeared in public as the authors, Trudy Baker and Rachel Jones. Three sequels followed, plus similar faux first-person accounts of nurses, office temps, teachers, and actresses, always with attractive young women recruited to front the books for publicity purposes. Bain also wrote the autobiography of actress Veronica Lake, crime fiction signed by actor David Toma and ex-cops Nick Vasile and Mike Lundy, and the Murder, She Wrote novels in ostensible collaboration with “Jessica Fletcher,” the fictional character played on television by Angela Lansbury. There’s no doubt that readers can be extraordinarily naive. 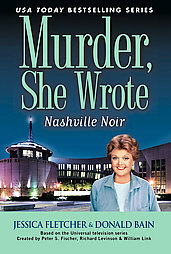 About the cover photos on the Murder, She Wrote books, Bain reports, one fan wrote in to say it was “amazing how much Angela Lansbury looked like Jessica Fletcher.” But when the ostensible author is a real person—and the book itself is a novel—readers don’t seem unreasonable in expecting that the person whose name appears on the cover actually wrote the book. Employing a ghostwriter on a work of fiction is never more dubious than when the putative author really is a writer. Brett Halliday (creator of Mike Shayne), Leslie Charteris (creator of the Saint), and Ernest Tidyman (creator of Shaft) all turned to ghosts to carry on the exploits of their famous characters. The Ellery Queen team employed other writers to turn out paperbacks that were very different from the genuine Queen novels. One case of posthumous ghosting, Chains of Command (1999)—credited on the cover to William Caunitz, who died in 1996, but written almost entirely by Christopher Newman—precipitated a class-action suit by readers who believed they had been defrauded. 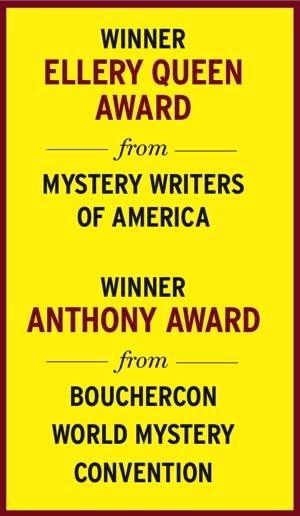 Celebrity mystery novels, like other ghostwritten books, differ in the way the actual writer is or is not credited. In the most honest method, arguably not ghostwriting at all, the celebrity makes the writing professional a full collaborator, as in the recent Blue Moon, signed in equalsized print by bandleader Peter Duchin and Edgar Award-winning novelist John Morgan Wilson. The third method is for the celebrity mystery to eschew the slightest hint of a ghostwriter’s presence. Great pains were taken to suggest that the earliest successful example of a celebrity mystery novel, Gypsy Rose Lee’s The G-String Murders (1941), was the stripper’s own work, though it has long been attributed to Craig Rice. The opera singer Helen Traubel’s The Metropolitan Opera Murders (1951) was actually the work of Harold Q. Masur. Though the television personality and show-business all-rounder Steve Allen had a legitimate track record as a writer, his mystery novels of the 1980s and 1990s were all ghostwritten, first by Walter J. Sheldon and then by Robert Westbrook. Perhaps the most curious subgenre of recent decades is the mystery novel written by the children of presidents. You can see neatly represented in them the three methods of dealing with a ghostwriter. The most recent to enter the field, Susan Ford, credits a co-author, Laura Hayden, for 2002’s Double Exposure: A First Daughter Mystery. By 1998’s Murder in the Map Room, they were still touting “a number of unpublished manuscripts to be enjoyed by readers in the years to come.” (A Booklist reviewer dryly noted that Roosevelt had become “one of the mystery genre’s most prolific dead authors.”) Harrington, ironically, would finally be credited as the author of a Roosevelt book, Murder at the President’s Door (2001), only after his own death. Margaret Truman, the longest running and most commercially successful of the presidential offspring fronting mysteries, offers no hint in any of her books, beginning with Murder in the White House (1980), that she has a ghostwriter, a collaborator, or even a literary mentor. Her “Capital Crimes” novels, which usually use as background Washington, DC. landmarks (the Kennedy Center, the National Cathedral, the Pentagon, the National Gallery, the Library of Congress, etc. ), provide plenty of historical tidbits and tourist information. They are far from distinguished detective fiction, but they do rank as above-average celebrity mysteries. The latest, Murder at Ford’s Theatre, is soundly crafted and professionally paced. The headline-inspired plot concerns the murder of a senatorial intern evocatively named Nadia Zarinski. The stock characterizations sound like casting notes, but at least it’s easy to tell the people apart. The author employs familiar strategies to puff up the page count: potted biographies of characters and repetitious dialogue (as when the cops report to their superior investigative details that are still fresh in the reader’s mind). Truman’s amateur sleuthing team of law professor Mackensie Smith and his gallery-owner wife Annabel are sometimes likened by generous reviewers to Nick and Nora Charles. They share the stage with an odd-couple police team, a Jewish detective who’s also a Lincoln buff and his African-American partner. The writing is usually efficient but flavorless. Occasionally—in the deadly combination of authorial haste and editorial sloppiness typical these days of books considered to have a ready-made readership—it descends into clunky archaism (“Klayman had proved his mettle on more than one occasion, facing down dangerous situations with steely resolve and audacious fearlessness”), clumsy genre references (“The strange case of the murdering midget. Sounds like a Holmes novel”), ponderous banality (“Sunday, as everyone knows, is a day of rest, except for those in jobs demanding their presence”), and faulty syntax (“Seemingly social brunches offer both eggs Benedict as well as the scrambled eggs of negotiation”). Arbor House’s Donald Fine, Truman’s publisher at the time of her first mystery, swore she had no ghostwriter, but there was a clue from the beginning: Though widely and favorably reviewed, the novel was not nominated for the Edgar Award for best first novel by an American author, nor, according to Allen J. Hubin, a member of the committee, was it even submitted by the publisher. But what does Bain’s autobiography have to say? A note at the end of Every Midget Has an Uncle Sam Costume claims that “contractual obligations prohibit Donald Bain from publicly taking credit for an additional twenty novels.” Elsewhere in the book, he partially contradicts this, writing that “some of my best work appears in an eighteen-book series ghostwritten over the past twenty years for a well-known person. It would be professionally inappropriate for me to take public credit for this series, although I’m not under contractual obligation to conceal my involvement.” (Murder at Ford’s Theatre brings the total of Truman’s novels to nineteen.) Obligatory or not, Bain’s denial fulfills his duty as an honorable ghostwriter. In the same chapter, he excoriates, for ghostwriting unprofessionalism, Lucianne Goldberg, who publicly claimed credit for the novel Washington Wives (1987) out of anger over putative author Maureen Dean’s interviews. If Bain is Truman’s ghost, he won’t admit it, but he provides enough clues to support a strong circumstantial case. He states his involvement with the series “for a well-known person” began in 1980 and continues, “I’ve been writing novels in this series ever since, a book a year, most of them well reviewed and appearing on many bestseller lists throughout the country.” How many other candidates for a frequently bestselling book-a-year mystery series beginning around 1980 are there? Bain writes that he disagreed with a young editor over “a husband-and-wife team of characters [created] for a book in a series I was ghosting. My characters were in their fifties, erudite, physically fit, and madly in love.” Though the editor thought them too old, “The characters stayed and went on to become particular favorites of critics and readers of the series.” That sounds very much like Margaret Truman’s Mackensie and Annabel Smith. In researching the coffee-table book Caviar, Caviar, Caviar (1981), Bain learned of the underground trade in Iranian caviar, smuggled into the United States via Copenhagen. He writes, “I later used what I’d learned as the basis for a crime novel I went on to ghost for a well-known person.” The plot of Truman’s Murder on Embassy Row (1984) involves caviar smuggling. Recognizing that the ghosting of fiction presents a greater ethical dilemma than nonfiction, Bain asks, “Is a book buyer cheated when buying a novel not written by the person whose name appears on the cover? Is it fraud? I don’t think so, though my bias is understandable.” Perhaps his bias is, in fact, understandable—but he goes on to add: “In most cases, the consumer gets a lot better book than if the nonwriting collaborator had tried to do it solo.” This will not do. The book is sold on the premise that a celebrity wrote it, and there is no excuse for such a pretense other than deceiving the consumer. Still, one might ask, where’s the harm? The journeymen writers doing the actual work undoubtedly realize more profit from being celebrity ghostwriters than they could from novels under their own names. The idea that the inflated money the celebrity and ghostwriter get would otherwise go to more deserving but less famous professional writers is clearly specious. The deceptiveness of attributing a book to a person who didn’t write it is minor next to the credits for doing nothing that feature in many major motion pictures. And what does the deceived reader care, if the novel is a good read that appears to draw on the celebrity’s area of expertise? The answer is that there are several harms. The books, even more than most commercial fiction driven by the marketplace rather than the artistic impulse, are rarely good mystery fiction. The celebrity publicity machine attracts readers that might otherwise be drawn to better books. While the big advance might not have gone elsewhere, some of the bookstore display space, public-library buying, and newspaper review attention certainly would. The public impression that anybody can write a book erodes the professional respect accorded to real writers. And finally, in the unlikely event a celebrity author actually writes a novel, no one in the cynical book world will believe it. Bain writes, “I’m often asked when talking to groups about my career: ‘How can you stand to see someone else’s name on a book that you’ve written?’” He finds it easy to answer: He makes a good living writing for others, and he takes pride in doing the best work he can on every project. Most professional writers would agree. Writing is such a hard way to make a living, it’s tough to blame the ghostwriter for going where the money is. The parallel question for celebrity novelists is, “How can you stand to see your name on a book somebody else wrote?” That should be harder to answer, but, sadly, it probably isn’t. This article first appeared in The Weekly Standard, November 18, 2002 (Volume 8, Issue 10), and Mystery Scene Spring Issue #79.